The River was a record made during the recession - hard times in the States. It was a record where Springsteen first started to tackle men and women, families and marriage. From this point of view the back cover is more interesting than the dull face on the front. 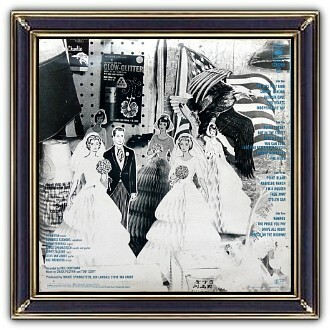 The back refers to the title song, Springsteen wrote for his brother-in-law and sister. His brother-in-law was in the construction industry, lost his job and had to struggle very hard back in the late 70s. Bruce Frederick Joseph Springsteen (born September 23, 1949) is an American musician, singer, songwriter, and humanitarian. 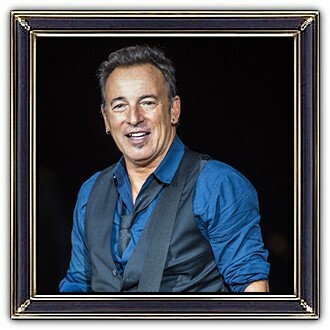 Nicknamed The Boss, he is widely known for his brand of poetic lyrics, Americana, working class and sometimes political sentiments. 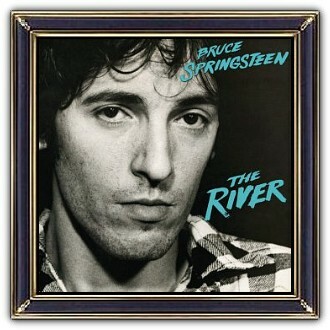 His most successful studio albums, Born to Run (1975) and Born in the U.S.A. (1984). He has sold more than 120 million records worldwide, making him one of the world's best-selling artists of all time. He has earned numerous awards for his work, including 20 Grammy Awards, two Golden Globes and an Academy Award as well as being inducted into both the Songwriters Hall of Fame and the Rock and Roll Hall of Fame in 1999.